Don’t forget the goal keepers. 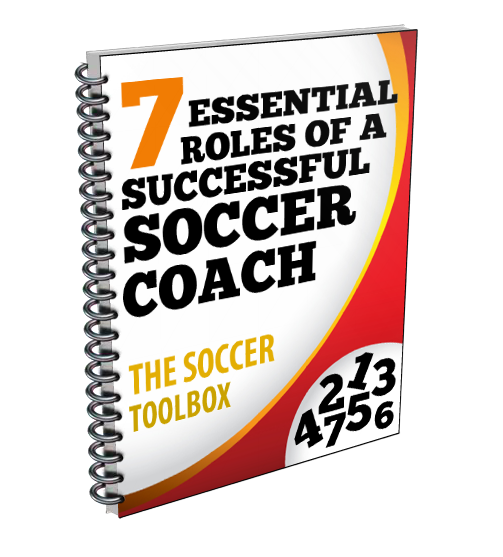 Your goal keepers are critical components of your team and their training can sometimes get overlooked. Here is a simple agility drill that will help train your goal keepers. owner of Quick Hands Goalkeeper Training, LLC., USSF National “D” License, NSCAA State (Level 1) & Regional (Level 2) Goalkeeper Diploma, demonstrates a simple agility drill that will also teach goal keepers to come forward and keep their hands in front of their bodies. The drill set-up is as follows. Place four cones in the corners of a rectangle that is approximately 8 yds x 4yds. Place a short segment of an agility ladder on the front line of the rectangle about 1 yard from the corner. The goal keeper will begin at the agility ladder. In this video Coach Cracas is requiring the athlete to execute the “Icky Shuffle” through the ladder. You could, of course, require the athlete to execute any number of footwork patterns through the ladder. When the athlete reaches the end of the ladder he/she will turn and face forward. A coach or player will serve the ball on the ground at the cone or slightly past. The goal keeper will get their hands in front of them and take a power step forward, shoot their hands and execute either a collapse dive or extend dive depending on how wide the ball is served. Next the athlete will backpedal to the back of the box and then shuffle along the back line. When he/she reaches the far cone they will come forward. As the approach the front cone the will come to aquick stop with their hands in front. At this point another ball will be served along the ground, and the athlete will have to make a collapse dive or extend dive to stop the ball. There are multiple ways to vary this drill, use your imagination and modify or expand on it to meet your needs. The YouTube video below has audio, so please make sure your sound is turned on and that you have access to the site. Note some schools block access to YouTube.